Welcome to beautiful Highgrove Farm! 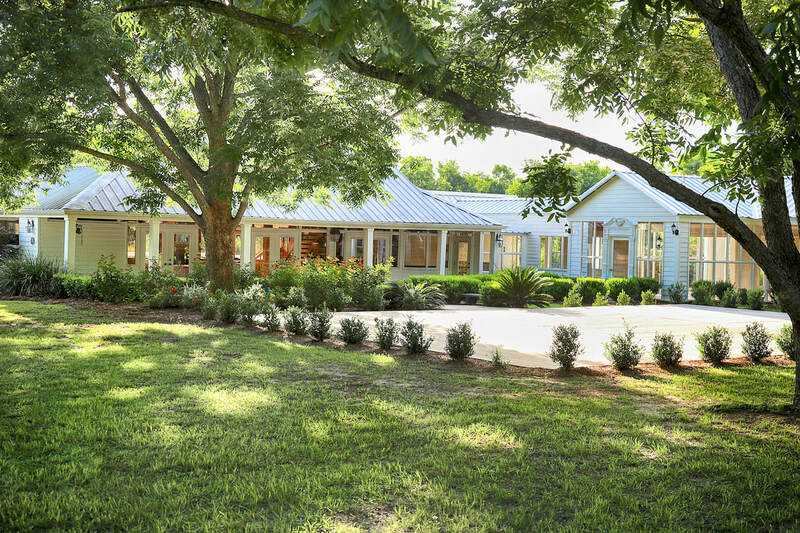 Once you enter the gate at Highgrove Farm you will drive down a lighted, tree-lined lane to the 2,500 sf banquet facility known as The Pond House. Highgrove Farm has a charm and elegance that will set your wedding apart. You, your family and guest will surely say, this is "Where Memories are Made". 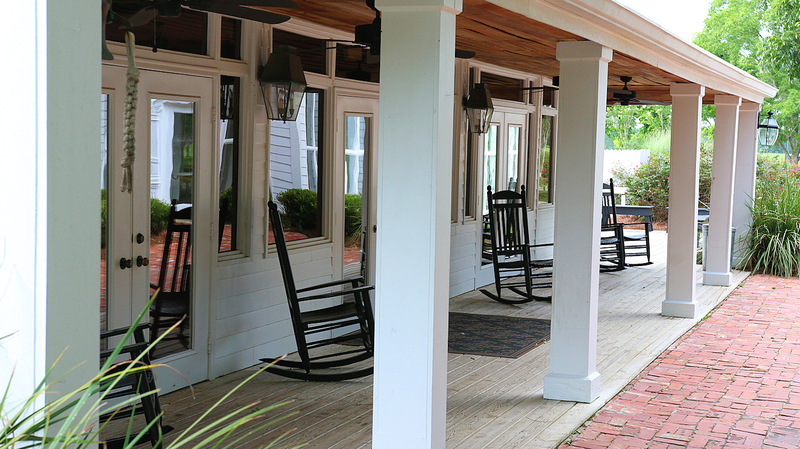 The Pond House has welcoming porches loaded with rockers and swings. It is nestled on a fish pond in a pecan orchard. The Pond House is constructed of aged cypress, and pine and boasts 9 ft ceilings. The wood in the Pond House gives it a warm glow and richness you won't be able to resist. Every window offers you sweeping views of the surroundings while the torch-lit pond gives you a feeling of a by-gone era. Learn More . . . Couples enjoying their Special Day at HIGHGROVE FARM, "Where Memories are Made"